What's the 411 around Miss Jhane's world!! 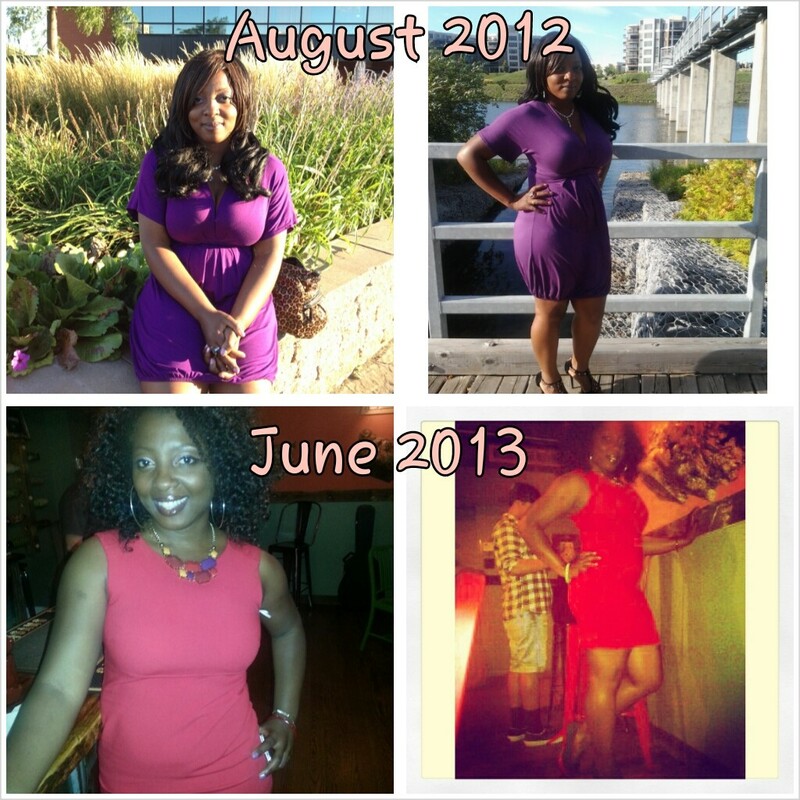 It has been a long time since I documented my journey about my fibroids. Up until last year, I was also fighting Thyroids. I was lucky that I wasn’t prescribed any medications. Last August, I had a wake-up call while I was on vacation at my mom’s in Montreal, Canada. I was at 210 lbs. I could NOT BELIEVE IT!! As I am typing this I am still in shock, because throughout my life I was always very active. I only gained some weight when I wasn’t doing anything. Even when I did, I was able to kick myself out of it real quick, and I was back to normal. After second diagnosis with the fibroids, I just could not loose any weight, I went to the gym about 3 times a week, and I was training for 2 hours, I stopped drinking any alcohol, I almost became a vegetarian. No results: no gain, no loss, no sweat. That’s when I went back to my family doctor and they did a blood test and told me it looked like I had hypothyroidism. But she would not prescribe me anything yet because once you start taking theses types of medication, you have to take them for the rest of your life. So she made me come back every 6 months to make other blood tests. Same results. I remember during that time, being so stressed internally, and I know it didn’t helped my case. I would not stressed about the fibroids case itself, but I would stress about anything else going on in my life. I wanted to have kids, a husband, a normal life, but never could find the right partner, I though to myself that I was getting old and that if I don’t do anything about it, then my eggs would expire. I went through some of the worse part of my life instead of not stressing. This year after a very bad break-up I found myself in an hospital, and that is when I had my life wake-up call. I had a panic attack, and I though I was having a heart attack. They did an EKG at the doctor at first and on the first test, it wasn’t normal, so the doctor sent me to the Emergency Room. On my way there, my thoughts were changing, I told myself I could continue to stress about life and everything under the sun and die, or live and just do me and let God guide me. The second test with the technician was normal. That was my sign, I choose God. Before I even saw the doctor, I left the hospital (I couldn’t afford the fees), I swore to myself that I would not let anybody else treat me the way I was being treated, and I started with me. I moved out of my place, I cut a lot of people out of my life, off my phone, off my gmail, etc, and I decided to start running every morning to give my a jump start to feel better about myself. I remember, how I used to stretch in the morning and meditate waking up early just to find some inspiration before starting my day. 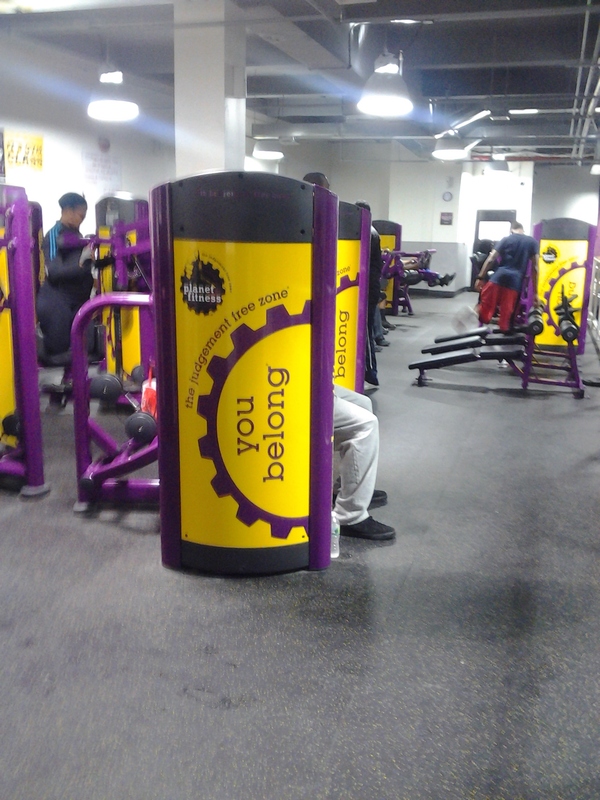 I registered to Planet Fitness and I was doing only 45 minutes. It really helped me out a lot. My best friend Yona is a personal trainer now, but she gave me a long time ago a simple training exercise regiment to do to stay in shape (she also always been very active, basketball player, to skateboard, to gym addict, to personal trainer). I remembered the training that she showed me back then and just did that. The first day I wanted to quit, but I kept repeating positive words to myself to keep on going. I still have the 3 fibroids, but they haven’t grown in size since 2011, the biggest one is 3cm. That was the last result from My OB/GYN in June 2013. Also I still don’t have my flat stomach as you can see, but it will come in time, I can finally do some crunches without my scar area hurting me. I haven’t gain weight overnight, so I know I will not loose it overnight but I am getting there. I am so happy about life again, I have much more energy and I feel like a huge weight has been lifted off my shoulders. I hope this helps someone who feels discouraged, because I know I was, and also, if it wasn’t for the right people around me at that time, God only knows where I would’ve ended up. Thank you to all of the people who helped me getting my life back. Also, thank you for reading My story and to share with me your own personal Journey, I trully appreciate it! This Year hasn’t started the way I wanted it to start, but it is okay because I am on a different path. Not everyone will have a great beginning of the year. The problems that were there before will still be there if they are not resolved. This Season, I’m making a new Vision Board and made a list of things that I would like to accomplish. I am that type of person. Being healthy is my main goal. After my surgery, I had ups and down with the fibroids, I recently even had some thyroids symptoms (stress is a killer, I’m telling you), but I am working towards being healthy, I am changing my environment, just clearing up my phonebook is helping a lot. There are certain people who are very toxic and it’s really unhealthy for you. You can pray for a change, but as long as they remain in your life, you won’t be able to move forward. And we all deserve the best. I was watching Joel Osteen and other spiritual leaders, and learned that removing negative or toxic people doesn’t make us bad people. You want to help people, but a lot of them don’t want to be help, because they don’t want to change. I have learned that it is okay, and to just move on. I made a video response based on a Youtube fellow who asked a very important question. Watch it below and let me know what are your goals? It might be something simple as visiting a new city, or moving. But once it is done, you can give yourselves hi-fives because you have achieved it!! 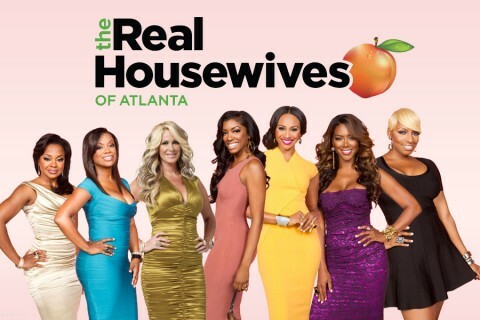 I am about to dish about the latest episode of the Season 5 or Real housewives of Atlanta, even though it is my guilty pleasure (I admit it!) I am relating the show with the topic that started my blog almost 4 years ago now. Porsha D.Stewart, one of the newest cast member this season, had the “Picture Perfect Life” like she was saying in the introduction of the show. She had a hard working husband Kordell Stewart (a NFL Star Player), the big house, cars, friends, works for charity, her husband was the house provider: she was a Real Housewife. That’s the type of life we dream as little girls. But what seems greener sometimes isn’t. Porsha was no different. 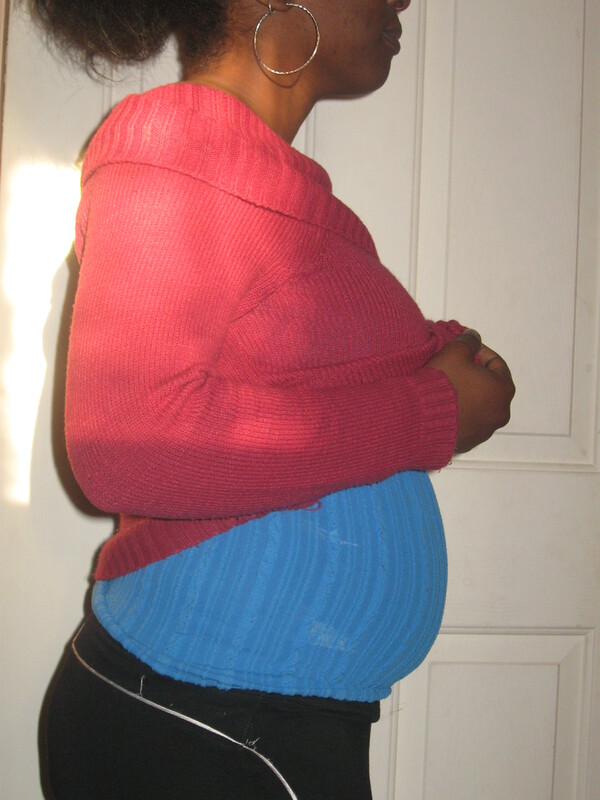 She wanted to have a child, and during the season we found out that she had a miscarriage due to Uterine Fibroids after only a few months of pregnancy. I remember watching the show and telling myself “FINALLY the Fibroids issue will be brought to a show where we will see how it affects a woman, her marriage, how she is coping with the recovery.”(since the show is called THE REAL HOUSEWIVES. I was commanding BRAVO channel to have taking the step that a lot of shows won’t really talk about. Next, we only see the follow-up appointment with her OB/GYN who tells her after only 1 month after her myomectomy surgery, she will be able to try to have kids again. Porsha explained in a letter on the BRAVO’S BLOG PAGE . Now, I have been watching the Real Housewives of Atlanta since the first season, and I appreciate the effort that they spend a quick minute on the fibroids issue, but I was disappointed that there wasn’t any more added to the story. I mean if Kim Zolciak could have full segments about her shopping and just spending money in the earlier seasons, why couldn’t they show more about a housewife’s struggle to have a baby? This sunday is the last show before the reunion. Hopefully, if Porsha stays for another season, they should cover more about that segment. I was surprised that even other Women Oriented Media, like Essence, Shape, People magazines, didn’t discuss more about the topic. Fibroids are benign tumors but it affect so many women and it is something that should be talked about like we talk about other topics, especially if it gives pregnancy issues. Maybe it’s just me but as a Myomectomy Surgery Survivor, I feel this should be taking more seriously (yes I said “SURVIVOR” as I recall my doctor telling me before my surgery, if I was looking too much blood or if I something went wrong, they would’ve have had to remove my uterus). Read my story HERE. I applaud Porsha though for continuing her life the next month and was willing to try to make another baby. Technology is getting advance by the minute. Only 3 years ago after my surgery, I couldn’t get out of my house for 3 months, then I couldn’t exercise or try to have a baby for about a year, and I also had a myomectomy surgery just like Porsha. 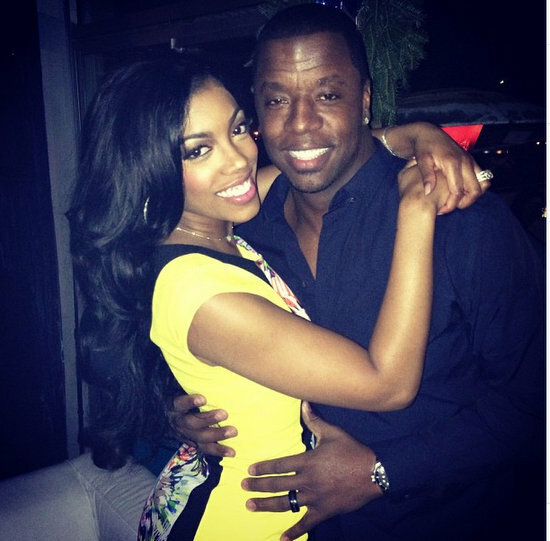 By Now the Whole World (well, whoever watch the Real Housewives of Atlanta) knows about Porsha Stewart and her now soon to be ex-husband, Kordell Stewart, who asked for a divorce after less than 2 years of marriage. I can only imagine the stress that can bring to a body post-surgery. I am praying for Porsha in this difficult time, maybe it is a blessing in disguise for her, maybe its a sign that it wasn’t meant to be, and also she could be a HUGE advocate for Uterine Fibroids (throwing ideas, thank me later ). God only knows. I trully believe they should include more REALITY in REALITY SHOWS. Almost a year since my surgery. I will post a new blog very soon. So sorry I haven’t been able to post a full blog with details very soon. My laptop crashed since September so I lost EVERYTHING (didn’t had time for back-up)… you live and learn, but I will update very very soon. As soon as I can get a laptop choice. I have new pictures, new blogs etc.. and I will comment back EVERYONE who had questions about my surgery, the weight gain or loss etc. Also new blogs about my journey in music and entertainment. Ok.. hummm this week is not so bad. I just had my periods 2 days ago and as I have been told, the first day was horrible. I couldn’t eat much and I was a little bloated. Also cramps was there for most part of the day. Whatever I had eating, wasn’t staying in my body. I was told it was normal that the first few periods might be worse than usual, probably because the system is reconstructing itself still. Tylenol, tea and my bed was my best friends that day. But besides that, so far, I am much better, I started going up and down the stairs. I do deep breathing (I got lazy a bit with the respiratory machine), I can do little cleaning (no big lifting yet), I did 3 long walk outside last week. I still haven’t had my follow-up appointment, which will be in about another month. I am hopeful though. My stomach look much better than before the surgery. But back to the post-surgery. What I still haven’t done is drink hard liquor (only wine for New Years) and no spicy food. I cook (yes I cook more and more now!! I forgot how fun it was…) lots of veggies, pasta, chicken and fish, but no much red meat. Lots of fruits as well and water, no soda, I’m thinking even to cut all soda from my healthy eating habits. By the way HAPPY NEW YEAR! Hopefully this New decade will bring peace and happiness to those who truly search for it. Always remain focus on your goals, whatever it is and whomever try to take that away from you, don’t let them, you have your own instincts and flavor, keep God first or the positive spirit you pray for, and solely stick to the people who believe in you (I’ll include myself in listening to my own tips..lol)… but that is the only way you can succeed in your life. Stay bless and Happy New Year!! I am soooo sorry.. I didn’t get to do a blog the week of my surgery. nor the week after.. I had my surgery November 30th 2009. 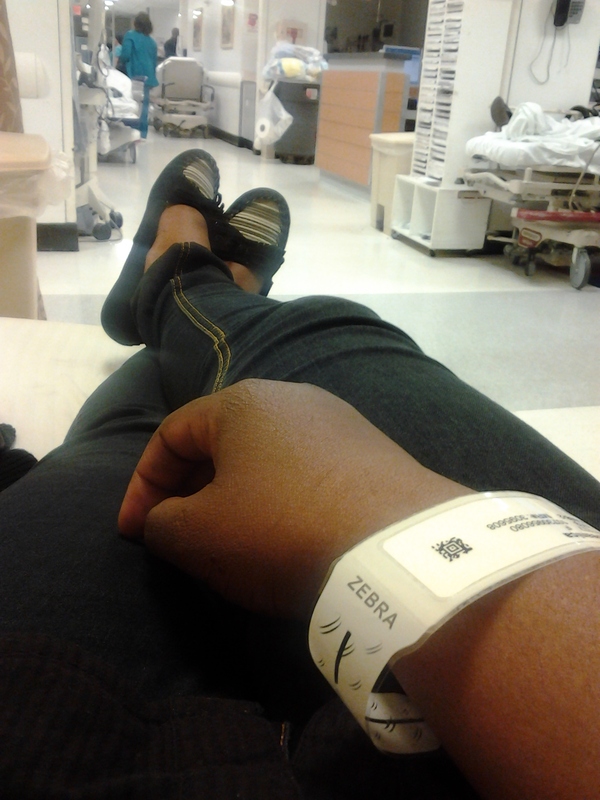 I was at Royal Victoria Hospital in Montreal, Canada. The whole staff was very professional and so nice. I was able to have a Abdominal Myomectomy surgery with Dr. Buckett (I’m giving you his name because he is the best). The procedure was somewhat simple.. well for me at least. I was in full anesthesia (fully asleep, yessss!!! ), so I was not aware of anything that was happening to me or what was done exactly. Before my surgery I was told that probably 4 to 5 fibroids would be removed for sure and 2 cystes in the ovaries. Before the surgery, I did not eat at all from the night before, and I was only able to drink CLEAR liquid (water, apple juice..etc..).. I read the instruction paper, missing out the part where it said CLEAR!! So, when I got to the hospital (early at 6h30am which was my call in time), while I got changed and went to the operating room, one of the nurse or physician there (there was so many people you meet at the same time, it was a bit overwhelming), she asked me if I had only CLEAR LIQUID.. well I told her I only took a very tiny sip of the ARIZONA FRUIT PUNCH, they all looked at me scared and asked my what type of juice, if it had pulp etc.. I told and reassure them that it was a very tiny sip, just to moisture my lips and no pulp at 5am . So they took me to the operating room… If I had dranked more, they would’ve had to postpone the operation. The only thing I remember before they put me to sleep, was that there was about 10 people around me, putting needles in my hands, strap my arms on the bed, preparing the equipment for the operation; I got a bit scared, so I started to pray. I told God that whatever is happening now, it is in HIS hands… next thing I know mask was on my face and I fell asleep. When I woke up I was in another room, a new hospital jacket on me and I remember feeling very light, as if I was in heaven, I woke up actually smiling to the nurses around me. I remember feeling very thirsty… I was sooo afraid to look at my stomach because they have told me at first that the incision would be done vertically through my stomach, so I didn’t look. They took me to my room, switch beds and they gave me instructions on how to use the morphine shots, which was controlled. Every 7 minutes I was able to inject myself a new shot just by pressing a button. I guess that was a pretty big surgery I had, I know the intervals between shots varies depending of the pain they think you will have; I didn’t want to get the epidural injection, even though they said it won’t paralyze me.. NO WAY. My mom was there through the whole process with me, so I was very grateful. She took the day off to be there for me, I owe her sooo much (teary eyes)… She was with me from morning through the evening. My dad came through as well to see if I was okay, and my brother, my cousin, my closest friends who could make it came through or called my brother to show their support, or txt or left messages on my cell, or even sent emails messages (which I was able to read after)… I am blessed(more teary eyes)!!! I was not able to eat anything the first day.. ice only (barely water) and I peed through a tube that goes into a small plastic bag (forgot the name of it) which I barely felt in my body, so I pretty much didn’t do anything but laying in bed. Every 2 hours, a nurse or auxiliary nurse came to see me (during the night it was every 4 hours). The good thing about the hospital stay: I was able to stay in the hospital for 4 days, the food was okay, I was pretty much able to eat anything, I had the bed on the window side, they gave me a respiratory type of machine where I had to blow in every hour, the staff was very nice, I had one neighbor in my room (well during the 4 days, I had 3 different patients sleeping on the other bed, they all stayed only one night… I guess I had a huge surgery), I was able to rest, counting my blessings and reflect a lot, etc… The bad thing.. every 4 hours a staff is coming to see you, even during the night to take vital signs and giving you pills… well, I guess it was a good thing because they check on you to see you are alive… but, I didn’t want to stay because I didn’t really sleep a lot; I was resting a lot on my back, where I am not used to, but didn’t get a lot of sleep…. The second day they removed the “pee bag” off my body, so that it won’t get used to, let me tell you that the first time you pee, it takes a few try, which I was told is normal. I was able to look at my stomach also when they removed the bandage, it was like a very low C section, they said that I will cure very quick and I had stapples that I will be able to have them removed a week later (16 little stapples in total). In the afternoon, Dr Buckett took the time to come and see me in the afternoon, he sat with me and told me the procedure that was done and the results. I pretty much had in total not 4 to 10 but 13 FIBROIDS all around my tummy area AND 2 CYSTES in the same ovary. It was a pretty long process, I lost a lot of blood but not enough to need blood transfusion. He also told me that I am very low in hemoglobin and I need to take more iron that he will prescribe for me. He told me that I will be fine but really not to lift anything AT ALL, no work, bed rest for 6 weeks. I thanked him for everything because not many surgeons will take the time to see you AFTER you had your surgery done. I started to walk in the evening to go to the restroom. On the third day, the morphine machine (aka “my best friend” as the nurses teased me with) and fluid bag was removed and they gave me a different pill for the pain. I told myself that I had to walk more. On my 4rth day after surgery, or post-op, I was back home, the only thing I could do was laying on my back.. very little walking. I had my water, my prescriptions, I remember the first music that I heard playing on the radio at my house was Brandy “Right Here (Departed”, it made me smile and positive. I didn’t took any pictures from the hospital. But, on my next blog, I will show you a picture that one of my best friend took for me before going to the hospital and I will show you also the after pictures (probably 5 weeks post-op).